New for 2018, we are planning to offer a full five-day Mounted Combat Arts Intensive from July 2nd to 6th. This 50-hour program offers you the chance to immerse yourself in a full week of mounted combat arts both in and out of the saddle. 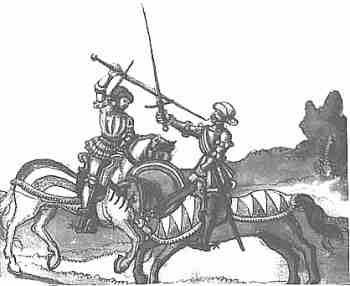 Throughout the week you will learn the foundation of our approach to Italian Longsword, English Riding, and Horsemanship. Each day we will develop you as a rider and martial artist through detailed practical and theoretical lessons. To guarantee the course will run, we need four participants registered by the 30th of April. To this end, earlybird registration is open at a reduced rate of $945 for the full intensive and $795 for the half-day program. As of May 1st, the price will go up by $100 in each category. There are two streams in the course: one for people with riding experience and one for those without. 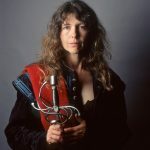 We also take into account differing levels of swordplay experience so that complete novices as well as experienced HEMA practitioners will benefit from appropriate levels of instruction. The first four days of the intensive will include instruction time on and off the horse, practical work, and clinics. Each 10-hour day includes two riding sessions on our school horses, practical and theoretical horsemanship, two hours of swordplay instruction, and up to an hour of swordplay clinic time for personal development. The final day of the course will include assessments to certify participants for further study within the Mounted Combat Program, followed by a fun and relaxed Mounted Combat Playday where participants can put their skills to the test in friendly competition. Can’t wait till July? Head on down to Richmond for riding, horsemanship, and mounted combat classes all spring. This course for kids aged 6-13 will introduce your child to ponies and horses in safe, fun, and friendly series of six classes taught by Pony Club qualified instructors. Each class contains a riding lesson as well as a horsemanship lesson where students will learn to handle, groom, and care for ponies and horses. 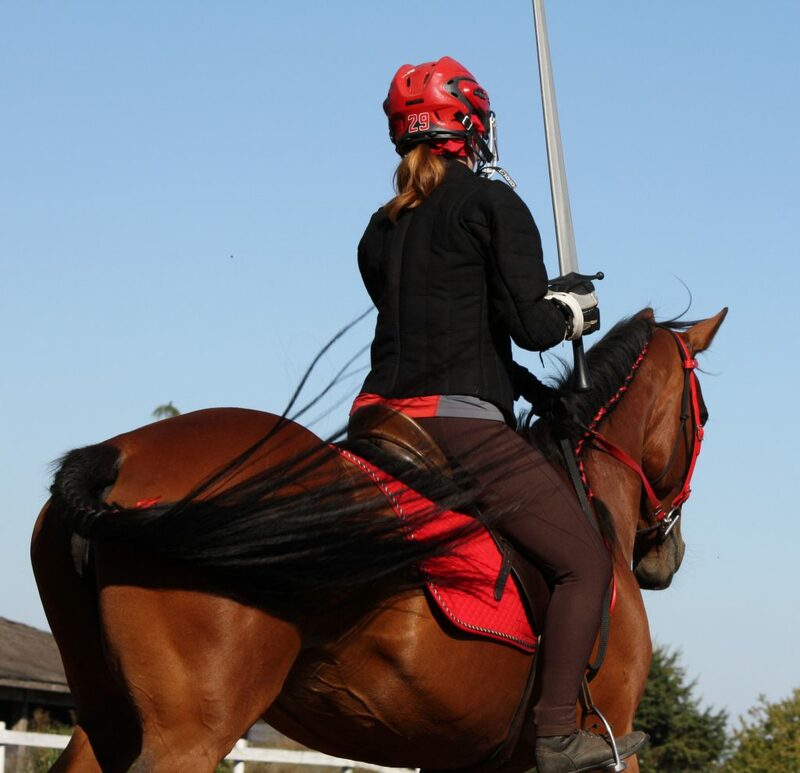 The curriculum follows the Canadian Pony Club D level lessons and will prepare students for testing Academie Duello Mounted Combat Riding 1 or Pony Club D Level. This six-class course is designed to help the beginning rider achieve Horsemanship and Riding Level 1. In addition to your weekly riding lesson, you will learn safe horse-handling techniques, how to groom and tack up a horse, basic horse identification terminology, and basic feeding and stabling. The cost of the course includes one free riding or horsemanship assessment. Students can expect to be ready to assess Horsemanship Level 1 at the end of the six classes. Readiness for Riding Level 1 typically takes two iterations of the course. This six-class course is designed to help the riders achieve Horsemanship and Riding Level 2. The cost of the course includes one free riding or horsemanship assessment. Students can expect to be ready to assess Horsemanship Level 2 at the end of the six classes. Readiness for Riding Level 2 typically takes two iterations of the course. A six-class series for riders working on Level 3 or higher with an emphasis on flat-work and lower level dressage. Some ground poles and cavaletti may be included. (Note: Riding Level 3, Jumping will begin in March). A six-class series for riders working on Level 4 and up with a focus on jumping gymnastics and stadium courses. Cross-country jumping included as weather permits. A six-class series for riders working on Level 3 with a focus on jumping and galloping position, poles, cross rails, and low fences. Riders may have the opportunity to ride out in the fields, weather permitting. Prerequisite: Riding Level 2. Riding Level 3, Flat also recommended. This class is for participants who are able to tack up and untack independently and who are working towards their Riding Level 1 or 2. April is True Fight month. If you have a Green Spur or Green Cord of any kind you are qualified to take ongoing Mastery classes at the barn. Don’t know how to ride? No problem. Classes can be taken from the ground as well as from horseback! To register see the Workshops Calendar or call the front desk at 604 568 9907.